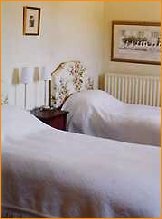 Sparkenhoe Farm house is situated in a quiet, tranquil location in the heart of the Warwickshire countryside. It is also centrally situated to explore the surrounding attractions of Twycross Zoo, Donington Park, Mallory Park Race Circuit and Bosworth Heritage Centre. 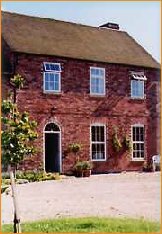 The peace and tranquil surroundings of Sparkenhoe Farm ensure that all guests have a relaxed and comfortable stay. All bedrooms are furnished to a very high standard with en-suite facilities and colour televisions. There is a separate sitting room and dining room with an open log fire where guests may sit and relax in the warm friendly atmosphere. In the summer months there is also a terrace area where one can sit with beautiful views across the open countryside. There are numerous excellent places to eat all within easy access and nearby. They offer a great variety ranging from quick and simple take aways to exclusive high quality cuisine. From the NEC/Birmingham (approx 12 miles) Join the M6 at junction 6, traveling north and exiting at junction 11. Take the A444 towards Nuneaton and travel for approximately 5 miles. Go through the village of Sibson and turn left towards Upton.